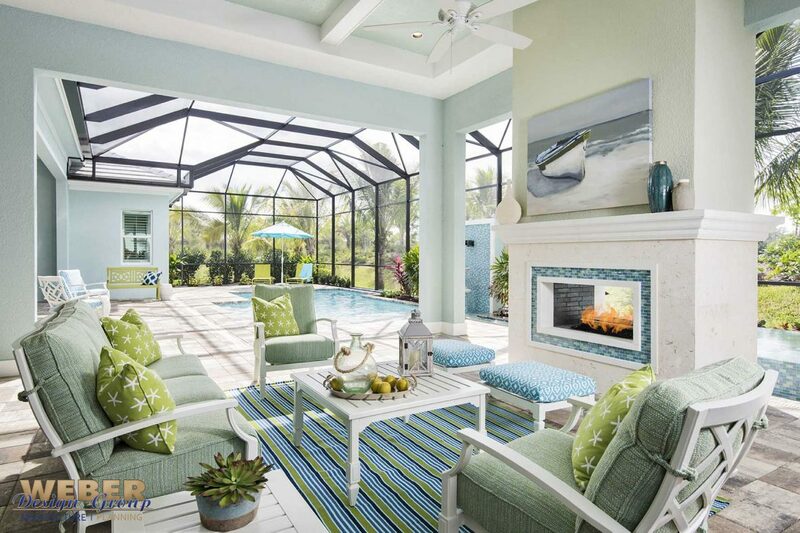 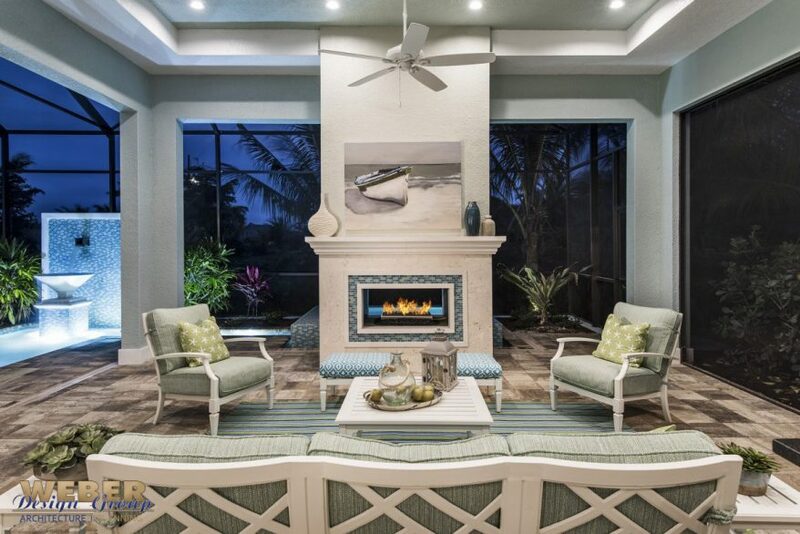 Old Florida comfort and sophistication perfectly describes this award-winning design in Naples Reserve. 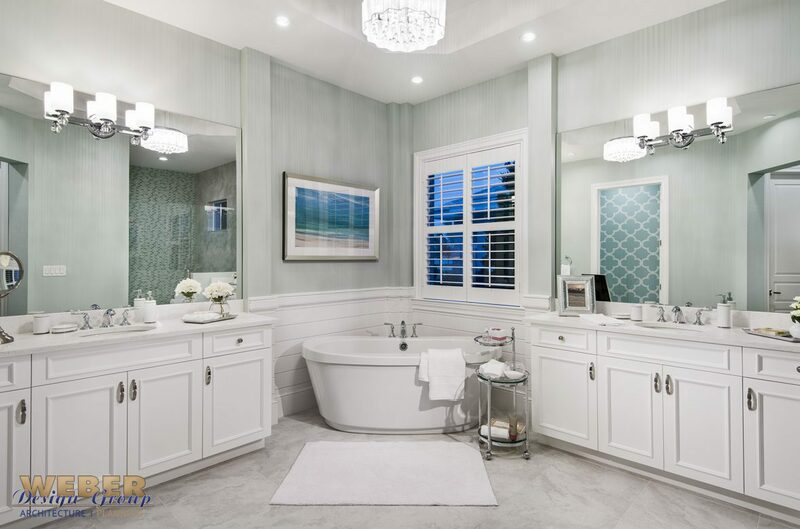 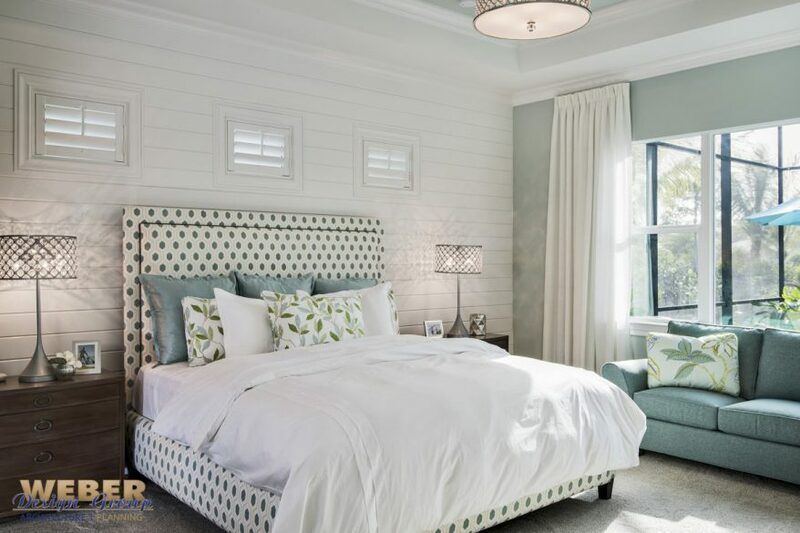 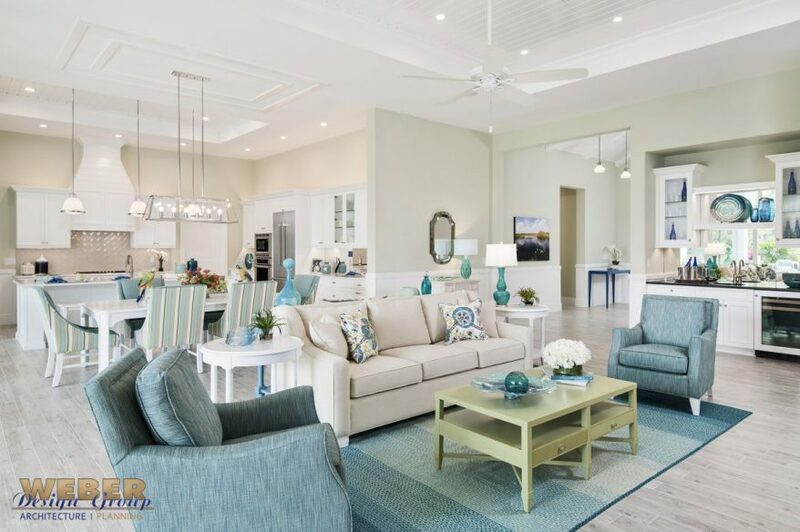 The coastal-inspired residence features 3,507 square feet of living area with 4 bedrooms, a study, 5 baths and offers a total of 5,691 square feet. 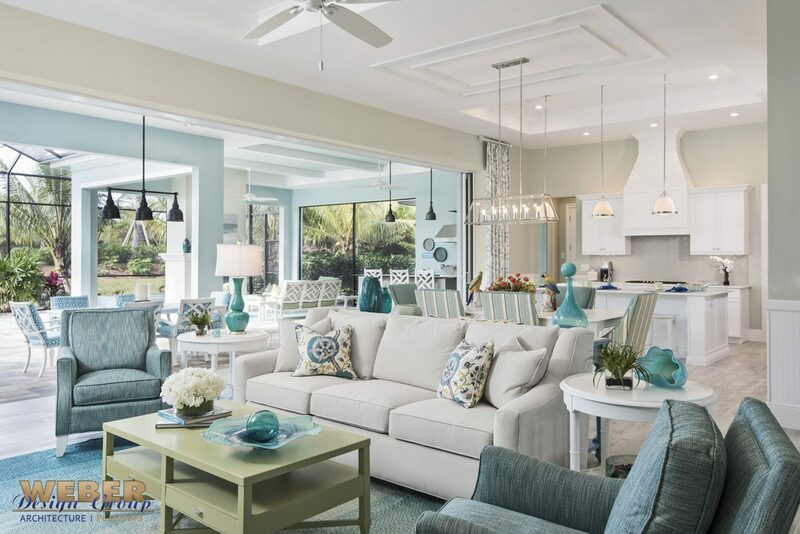 Old Florida is evident in all the exterior details, which include a concrete-sided facade painted in a soft seafoam palette. 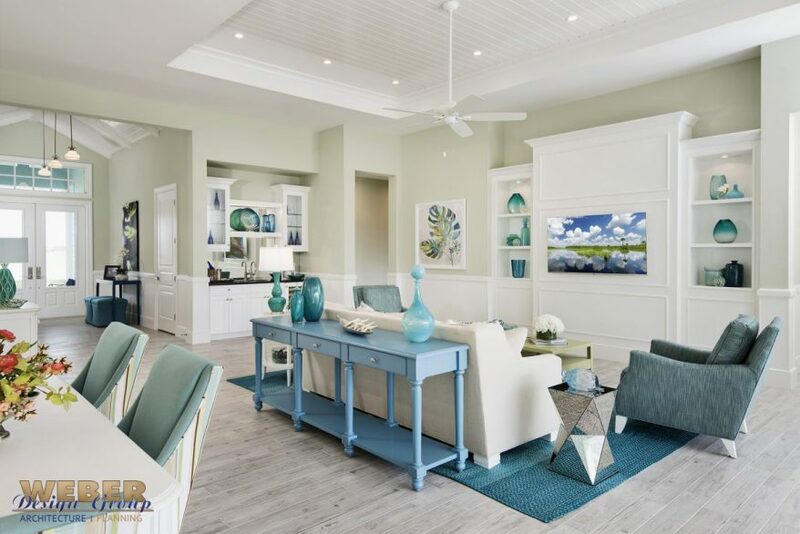 The front elevation is offset by white trim and coastal embellishments like Bahama shutters, decorative brackets and a pergola over the garage door. 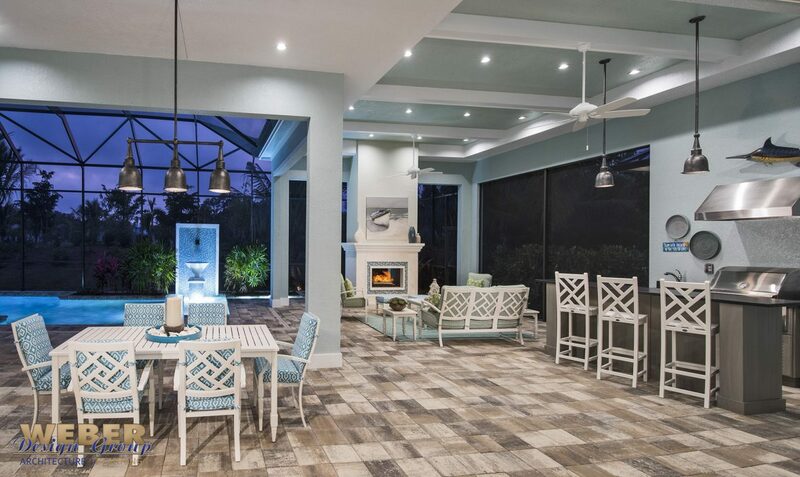 The roof is a white flat tile with a metal roofed raised entry that accentuates the inviting double-glass door entryway. 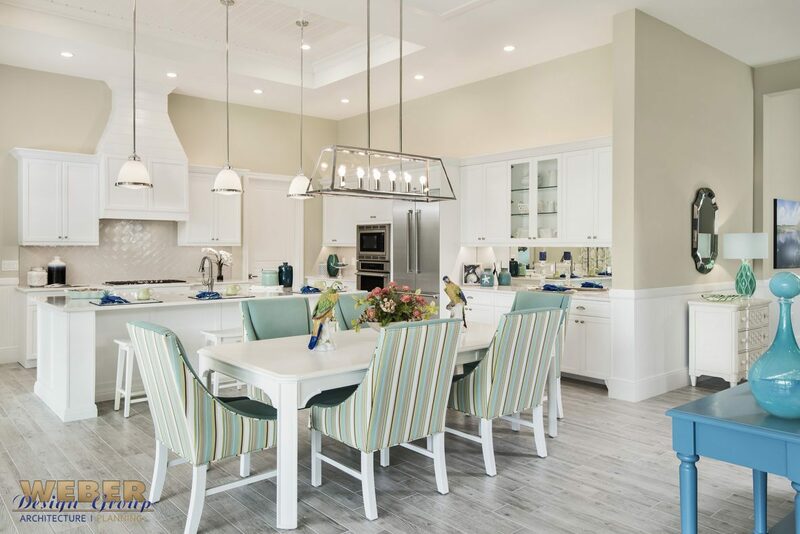 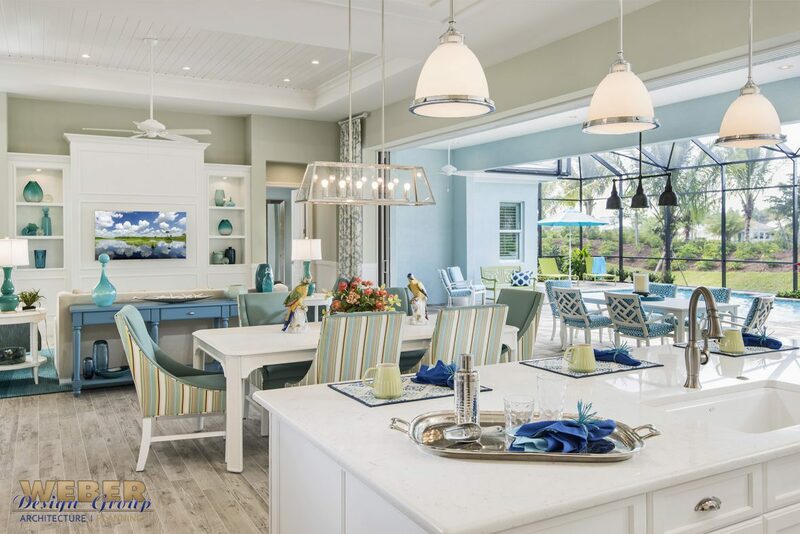 The great room layout allows the island kitchen, dining, and great rooms to flow together nicely for casual entertaining with family and friends. 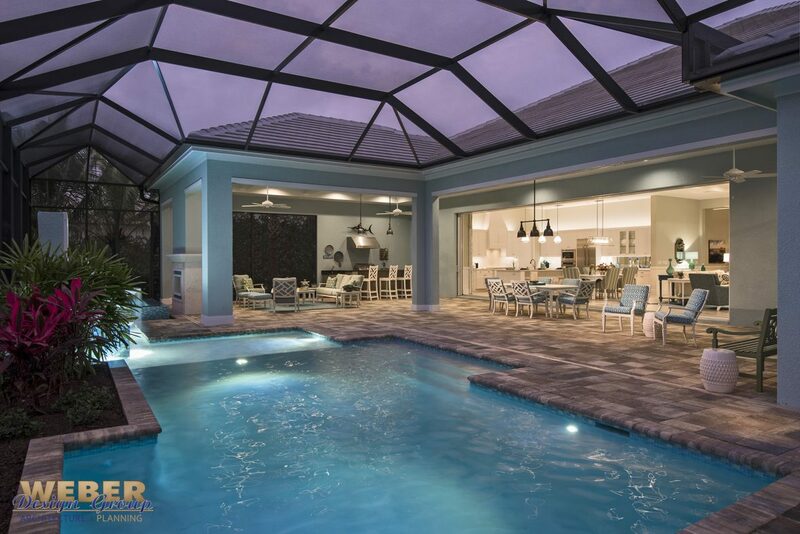 These areas can be completely opened up to the outdoor pool and entertaining area by pocketing the 32-feet of glass doors between them creating a seamless indoor/outdoor experience.